And we thought they might be a flash in the pan, a one album wonder. The last we heard from Sweden's Care Of Night was 2015's Connected, an album that found favor among AOR fans in the European theater. 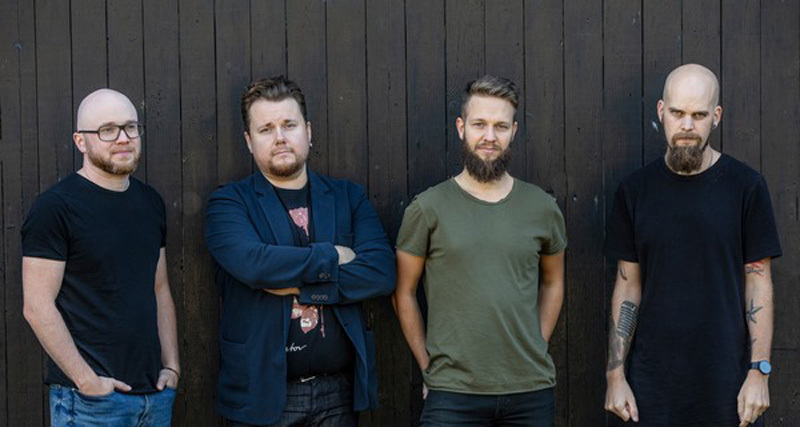 Now the Swedes return with a new guitarist, Viktor Ostrom Berg, and their second effort, Love Equals War. As Mets baseball manager Yogi Berra once said, "It's deja vu all over again." For Care Of Night it's a return to form and a return to classic Eighties-style melodic hard rock in an AOR wrapper. Basically, the band has the essentials nailed: tight guitar riffs tuned to song melody and vocal harmony, an effective layer of synths for atmosphere and embellishment, strong and soaring guitar solos, and equally strong melodic vocals, all wrapped up in the rhythm and groove of AOR accessibility. Both the band and songs are tightly woven and eager to please your listening ears. 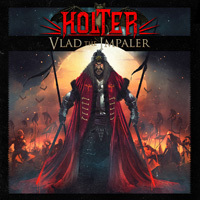 For the songs you get those that lean more towards rambunctious hard rock like Love Equals War, Hit, and the riff rockers Your Perfection and Ivory Tower, which fools you at first with a synth start. But Care Of Night works some more musical tricks with She Leads You On and Cold As My Heart. Both have light piano starts only to kick into some heaviness as they develop. Conversely, We Will Find A Way rips into some lead guitar and the same guitar line powers the song. For Please Don't Leave, Care Of Night mixes song strong rock with moments of tenderness, with one notable point in the middle where the music bows to the vocals. Throughout, efficient and roaring guitar solos abound. You can't do without those in AOR. 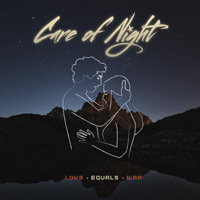 Suffice to say, with Love Equals War, Sweden's Care Of Night once more finds themselves on a sound foundation of classic AOR melodic hard rock. Simply Eighties ear candy revisited. Recommended.